A magnitude 7.8 earthquake struck South Asian mountainous country Nepal on Saturday, April 25, 2015. Authorities said that the massive quake killed at least 688 people and probably more in the capital city Kathmandu. Laxmi Dhakal, a spokesperson for Nepal's Ministry of Home Affairs reported the death toll to media. Rescue effort is still in its early stages and that people in outlying areas may well have been affected, as well, it seems probable that the number will rise. According to U.S. Geological Survey, Nepal earthquake occurred as the result of thrust faulting on or near the main frontal thrust between the subducting India plate and the overriding Eurasia plate to the north. The quake, which struck at 11:41 local time (05:51 GMT) occurred at a depth of 9.3 miles, which is considered shallow and more damaging than a quake centered deeper under the earth's crust. 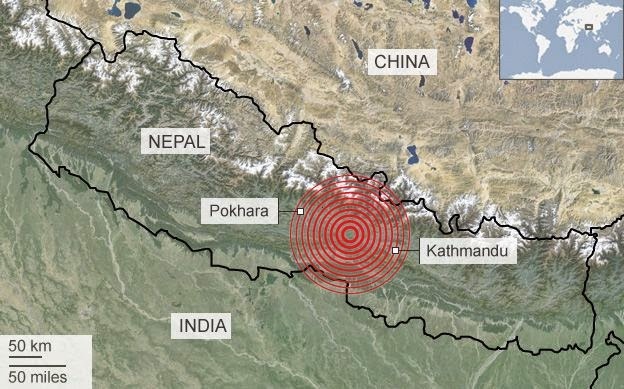 "At the location of this earthquake, approximately 80 km to the northeast of the Nepalese capital of Kathmandu, the India plate is converging with Eurasia at a rate of 45 mm/yr towards the north-northeast, driving the uplift of the Himalayan mountain range. The preliminary location, size and focal mechanism of the April 25 earthquake are consistent with its occurrence on the main subduction thrust interface between the India and Eurasia plates," USGS said. 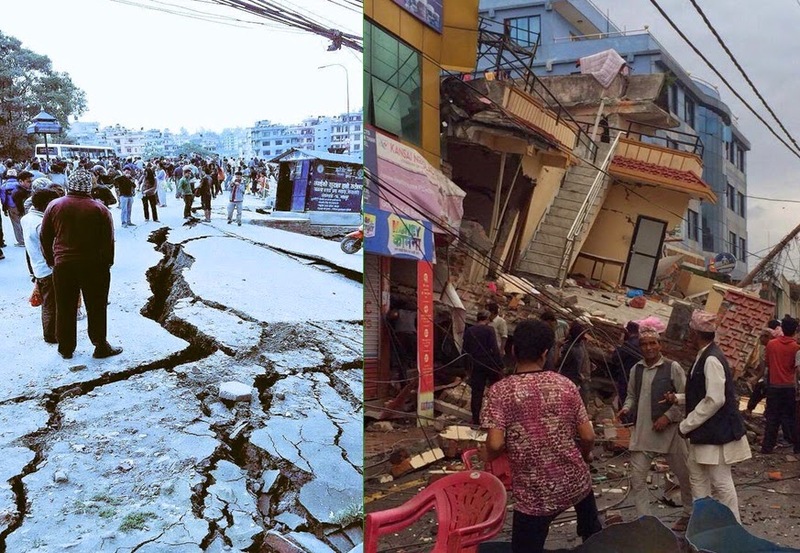 USGS added that at least 15 aftershocks of magnitude 4.5 or greater had been felt in Nepal so far. The force of the quake was said by people who contacted the USGS to be from "severe" to "violent," nearly the highest rating on the intensity scale.